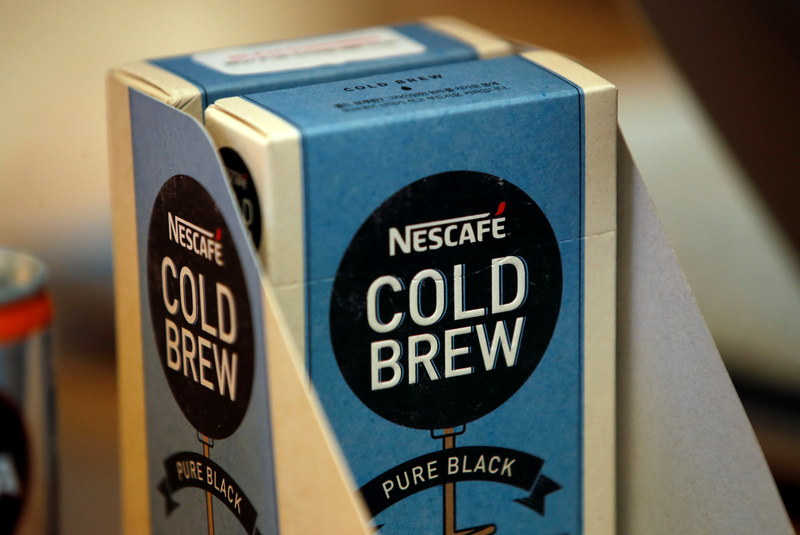 A box of Nescafe Cold Brew is pictured at Nestle Research Center in Orbe, Switzerland May 31, 2018. Picture taken May 31, 2018. Swiss consumer giant Nestlé on Feb. 14 reported 2018 sales of 91.4 billion Swiss francs ($90.6 billion), which translated into organic growth of 3 percent from a year earlier. The company said it would explore strategic options for the Herta charcuterie business which had sales of around 680 million Swiss francs in 2018. Shares in the Nespresso maker rose 3 percent to 89.26 Swiss francs by 0935 GMT on Feb. 14.